Never judge the quality of your wisdom on the lack of listeners. 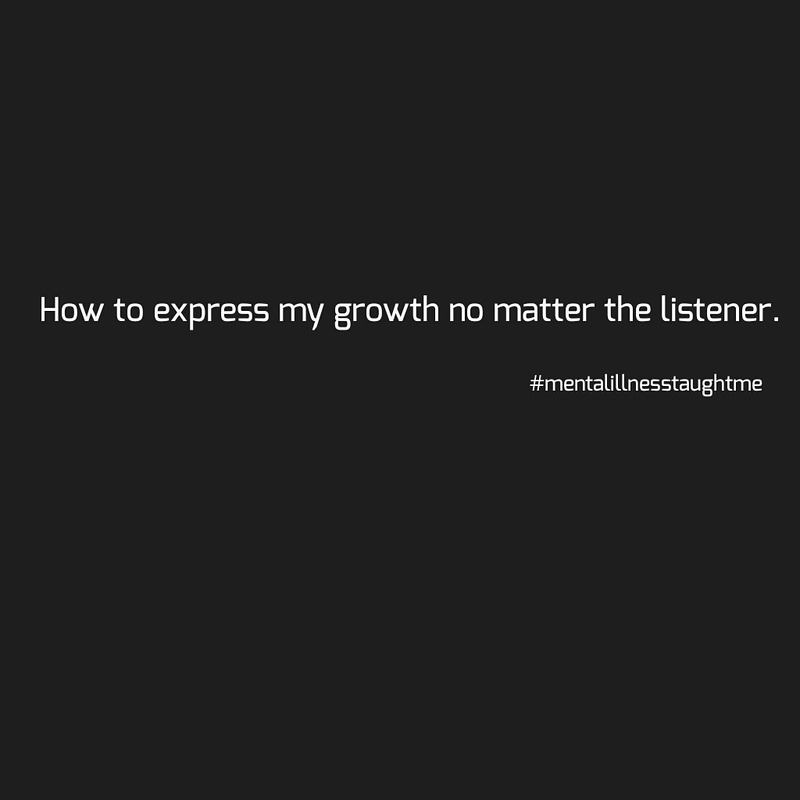 Lessons that I have learned regarding my mental illness has made me a better person and given me the ability to share my experiences with others. I hope you get to a place where you can do the same. This was an great post I enjoyed reading this!